The recent Paris attacks have made one thing abundantly clear: we live in a dangerous world. It means that we should cherish and hold our children close and be diligent about their safety and security. But in places like Iraq, Syria, and Lebanon, it is far more difficult for parents to keep their children safe . . . that’s if their parents are even alive. In the debate over the refugee crisis, one thing is not up for debate—hundreds of thousands of people have not only been left homeless, but they face constant fear, uncertainty, and risk of death. Across America today, people are choosing sides. Not just for the next presidential candidate, but we are choosing sides on an issue that lies closer to our hearts, our faith, and our sense of humanity. Close the borders . . . Take a pause . . . Only let Christians in . . . Stringent vetting process . . . Help the children . . . Keeping them out is un-American . . . Send them all back to their home countries . . . Create safe zones . . . While we struggle to choose a side, we are simply prolonging the very issues we are fighting for and about. And while we delay, the victims continue to be oppressed and innocent children continue to suffer while we continue a debate that we will never agree on. The truth is over 95% of the people displaced by the ongoing war in Syria and the fight against ISIS are still living in the region. They are in Lebanon, Turkey, Jordan, Iraq and Syria. And most of them hope one day to return to their homes to live in peace. World Help’s work has been on the ground in this region for over 10 years and that is where we will remain. This decision is not one made out of fear, but because it makes the most sense. This is where we have the opportunity to make the greatest impact. World Help is providing food, clothing, housing, medical attention, a chance for children to return to school, and small business opportunities in Iraq and Jordan. These resources are helping to sustain their lives and give them hope until they can once again return home. No matter where you stand on these issues, this seems to be an opportunity that we could all agree on. Unfortunately, all the media attention, talk, debate, and fear of letting a small number of refugees into our own country has lead to decreased attention and funding for the overwhelming number of people who are not even trying to get in. Unless something changes . . . and changes quickly, years from now history will write this as a moment of failure for the American church. We will have to answer to our children and grandchildren why we stood paralyzed out of fear in the face of unspeakable violence and suffering. Movies will be made and stories will be told about the heroes of our generation—the ones who helped despite great risk. But my greatest fear is that my name will not be counted among those who made a difference. So, in the wake of controversy and fear, I will not stand idly by while people suffer. I will not be boxed in by the talking heads and labeled by one opinion. Instead, I will simply do something to help. I believe that is what my faith requires of me—a faith that claims to love my neighbor. I don’t have to choose a side, but I also should not sit on the sidelines out of fear. Instead, I can embrace a posture of compassion and love. 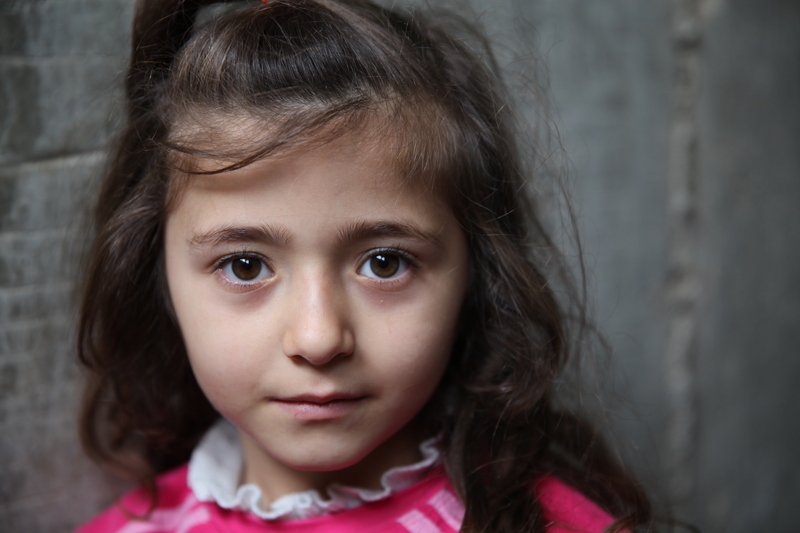 For more information on World Help’s work with refugees and displaced people in the Middle East and how you can help make a difference, click here. Today, I am sharing over on the Leading and Loving It blog. I am talking about poverty and how you can act by being the hope to those in need. I would love if you would head over to their site and check out the post! You can view it here. Will you be the hope? What step will you take TODAY to be hope to someone in extreme poverty? It is my absolute delight to introduce you to my sweet friend, and guest blogger, Susan Morris (www.susanbeth.com). Susan and her husband pastor Amplify Church in Jacksonville, FL and Susan is an active member of the Leading and Loving It community where she and I received our introduction. Susan is one of the sweetest most passionate women I know living her life trying to put her hands to the things in God’s heart… but I’ll let her share her own story! A year ago I was immersed in wedding details for one of my daughters and had never even heard of World Help. I had however been part of Leading & Loving It, a community of women involved in ministry and have led one of their Connect LIVE groups the past several years. I had been looking forward to attending their retreat again last Fall, but due to putting some things aside in preparing for the wedding I felt like it wasn’t something I could do at that time. Because of that decision I missed hearing Noel share about World Help and an upcoming L&LI trip to Guatemala. It wasn’t until after the first of the year that I saw something about the Operation Baby Rescue Project. I knew immediately I needed to go. I also knew that I didn’t have the money budgeted to go on a trip that was now quickly approaching. I was able to raise the funds to go on the trip. One of the highlights for me personally was getting to know Noel Yeatts. In a world that often glamorizes strength and beauty in a self indulgent way, I saw in her, womanhood at it’s finest. I saw a devoted, loving wife and mother who was passionate about what God had put in her heart. A woman who was willing to get out of her comfort zone, rally the troops and lead the charge to get a job done! Even though many people I know would consider me a risk taker and brave…I knew deep in my heart I was still playing it safe. I remember sharing with Noel the very first night of the trip that I had asked others to pray I would not be overwhelmed with the need before me, making it unable to see anything else. It is easy to become paralyzed by the enormity of it all. That prayer was answered… I saw so clearly in my time in Guatemala that it takes each of us being obedient to what God is asking us to do. Only then can the miraculous happen. I made a decision to be obedient no matter how insignificant or how huge that looked. The day after I got home from the trip, I made my commitment to raise money to rescue five babies, representing each of my five children. The total amount raised would be $6000, which seemed insignificant and HUGE all at the same time. So that’s what I’ve done…at AMPLIFY where my husband and I pastor we have Amplify LOVE Projects, so Operation Baby Rescue has become one of our projects. We made #amplifyLOVE shirts and coffee mugs with proceeds going to rescue babies. Our family also owns Reach Destiny Arts, a Dance Studio lead by my daughters that has nearly 200 students associated with it. We have created a fun way to donate to OPERATION BABY RESCUE by buying a Pointe Shoe and the students writing their name and amount on it to hang up on the walls of our studio. At this stage, we have rescued two babies and this just by doing what I’ve already been doing. Nothing spectacular or special! People you know want to make a difference…they’re just waiting for you to show them how. 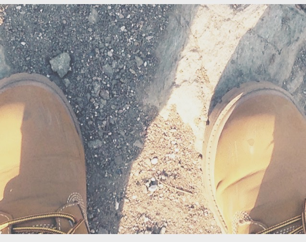 A week ago I was standing on the soil in Guatemala. I’ve been on several trips to other countries where you see such heartbreaking need all around you. I know that my life and perspective has been shaped through the years by these experiences. I wore these boots on Sunday as a reminder that as much as I was moved to make a difference in those moments standing there in Guatemala, life back in my “normal” can soften the urgency over time. I snapped pictures while I was there and as I was scrolling through them just hours later they seemed unreal. I wonder if it’s because it’s hard to process the reality of what I was seeing? I want to remember the mom that walked with her children 3 hours one way so they would have food for the day. I want to remember the filthy dirty plastic 2-liter bottle that her child held up to me to fill that I’m pretty sure he had just picked up in the dump that was a few feet away. I want to remember the precious babies being held by brave moms choosing to leave all they have known to do what’s best for their sick children. I want to remember the scared little girl that was probably going to lose her infected left eye due to not receiving treatment early enough. I want to remember the joy and gratefulness on the faces of the people in the village where we dedicated a well so they could have clean water. I want to remember the little boy in the plaid shirt that came and sat by me and melted my heart. I want to remember that my feet stood on this soil and in that moment I knew I could make a difference. I’m here in Guatemala with a group of 30 women from Leading and Loving It—pastors’ wives and women in ministry. Our focus this week has been on our Rescue Program and meeting Leading and Loving It’s goal of rescuing 200 babies. 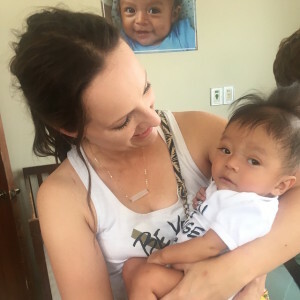 We’ve loved on babies in the hospital, visited the special needs home, and heard a number of rescue stories from Hope of Life’s founder Carlos Vargas. Yesterday the entire group of ladies had the opportunity to visit a trash dump community here in Guatemala where lunch is served three days a week. I loved watching our group serve “the least of these” so selflessly. It was a reminder of the extreme poverty so many of these people are living in and why this rescue program is so important. Please take a moment to watch this short video and consider joining the rescue at www.lali.worldhelp.net. Watch Guatemala | #LALIRescue15 from World Help on Vimeo. 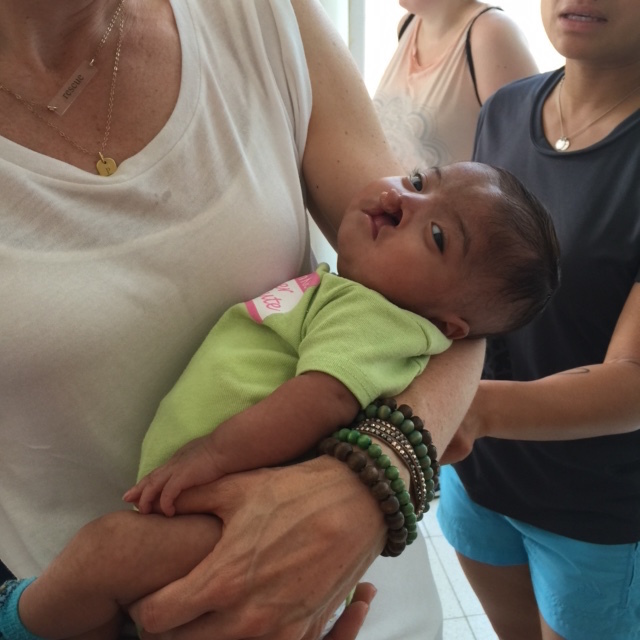 When I began traveling to Guatemala, one of the first things I noticed was the alarmingly high rate of birth defects. Malnutrition, sickness, and poor prenatal care take a permanent toll on both the mothers and children in this impoverished nation. Disorders like cleft palates, deformities, and other handicaps are tragic for any parent . . . but I’ve learned that in Guatemala, they can mean a death sentence. In fact, Guatemala has one of the highest national percentages of spinal and brain birth defects in the world. 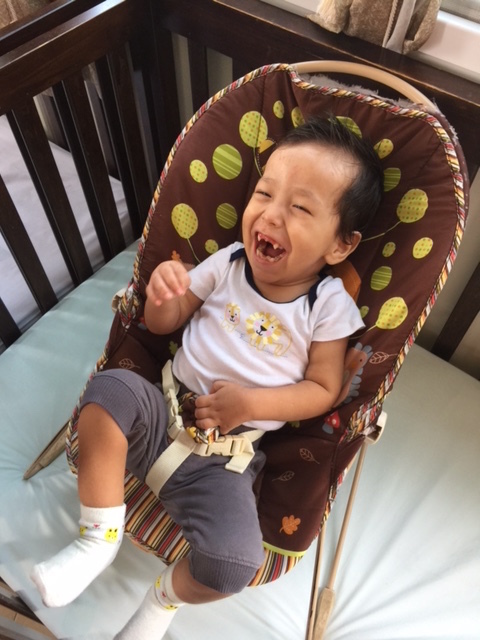 Like most developing countries, Guatemala has very few specialized healthcare facilities, let alone pediatric care for children with disabilities. The majority of these families are too poor and isolated to seek the help they need. As a result, many children are left untreated and some will die. Thousands of these children are in immediate need of critical care. Our partner Carlos Vargas is close to celebrating the completion of a new special-needs home that World Help was able to provide near the Baby Rescue Center. I’ll be traveling to Guatemala this month to dedicate this new branch of Operation Baby Rescue, and I couldn’t be more excited. For hundreds of families in the surrounding regions, this new home means that their children will finally receive the care they need to live healthy, productive lives. Please watch the third portion of a three-part interview as Carlos explains what this new home means for the families caring for these special-needs children: exclusive treatments, therapies, medicines, and each child will receive adequate nurturing on an individual level. The home will also serve as a rehabilitation center where children can come on an as-needed basis. As the home nears its final stages of construction, I ask you to join me in praying that it will restore hope to countless families in Guatemala. You can also support the home by giving a one-time donation or pledging any amount toward the start-up and sustainability of the program. No matter how you pray or give, your action invests in those who need it the most. Baby Rescue does more than just save lives—it’s reversing the cycle of despair in Guatemala through the hope of sustainability. A child rescue is a family affair. We believe true health takes teamwork, unity, and the bond of community. Operation Baby Rescue not only saves the lives of children, but it invests in their parents as well. The initiative is intentional about making sure families have the workable knowledge to provide their children with lasting health. I’ve spoken with mothers who have no idea that the dirty water their children drink keeps them from absorbing essential nutrients. It’s not surprising that the malnutrition rate is so high in this country. It’s not that these families don’t care . . . they just don’t know. But through Operation Baby Rescue, we can help change that! In addition to families, every child rescue seeks to involve an entire village, giving it essential provisions and tools for sustainability that will prevent further heartache. When a community understands the achievable cycle of health, true well-being will become the norm. A communal awareness of development is so absolutely crucial if we want to bring permanent change to impoverished Guatemalan villages. Watch the second of a three-part interview with our partner Carlos Vargas as he explains how rescuing children in Guatemala is beyond simply removing them from hazardous environments. It’s about creating a cycle of sustainability that sets the stage for lasting hope. I hope you understand that when you support Operation Baby Rescue, you help establish futures of health, promise . . . and hope for all. Will you join the rescue? Today I am sharing over at Spark talking about one of my favorite topics … “Awake” … the theme of their upcoming conference in March. I will be one of their speakers along with Bob Goff and many others. Keep reading to learn more about Spark and how you can join me at this incredible event! I was reminded of the power of that thought, “Jesus in disguise” when I saw a recent story in the news. It was about an Episcopal church in Davidson, North Carolina, that became home to a very controversial statue. I love people who are positive. I am drawn to people who are happy. I enjoy people who don’t complain. I wish I could say that I am always one of those people, but I can’t. However, I want to be. And I think that is what I love most about Bob Goff. I heard Bob speak at a recent conference and loved his simple yet powerful message: Love God, Love People – Do Stuff! That’s it. That is his whole message. And when you think about it, that is really all you need to know. If you’ve ever read anything by Bob or heard him speak in person, you’ll know that he’s an extremely positive person. Don’t get me wrong: He doesn’t try to call a tragedy a positive thing. He tells the truth about it. The heartache, the pain, the confusion. But he doesn’t stop there. Bob has mastered the art of finding redemptive perspectives, so that he tells even the most tragic story in a way where you can almost see hope rising to the surface. I want to be like Bob. Because it seems like every day I am confronted with a tragic story. Stories I want to share, but ones where I struggle to find the redemption. Stories that, if I am not careful, leave me in a state of despair. I met Jenri (Henry) a few years ago in Guatemala. He sat in a swing in our baby rescue center . . . barely moving. He was skin and bones. He had been rescued, but had a long battle ahead of him. His prognosis was uncertain. At first glance he appeared to be an infant . . . maybe 6 months old. But to my surprise, he was two years old and weighed only 10 pounds. His story was nothing new, at least not in this part of the world. A life of extreme poverty and malnutrition had taken its toll. 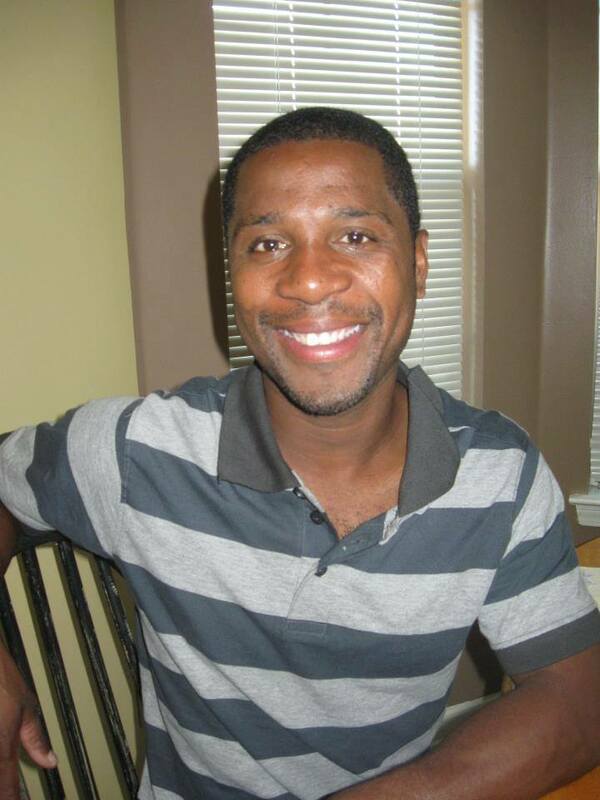 For two years Jenri fought for his life surrounded by people who loved him—the caring workers in the center and the countless people who visited him and held his frail little body in his arms. This was the beginning of Lauren’s beautiful journey . . . a journey that has made her an advocate for these children, a journey that led her to the process of adoption, and a journey that continues to lead her to be a voice for the voiceless. 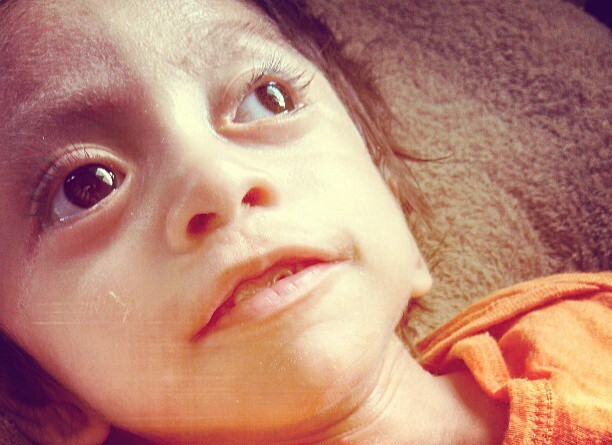 before his 4th birthday, Jenri lost his battle and the world lost a precious soul. And as I share this story with you, this is where I have to make a conscious choice. I must decide whether to sit down and cry . . . to ask the never ending question “Why” . . . to shake my fist at God . . . to throw my hands up in despair and say, “The fight is just not worth it” . . .
Or to add this . . . This is not where the story ends. You need to know that Jenri was loved. Jenri was treasured. Jenri mattered. And Jenri’s life will be the inspiration to help so many more children. Jenri’s short life was filled with pain and struggle. But, when he came to the end, he had what really mattered. Today we honor Jenri . . .
We still see you sweet boy, and we will continue see you in the eyes of every child who is saved . . . because you once lived. I am still troubled by the photos of the children who were murdered. The thought of it simply makes me sick to my stomach. At times, I don’t understand the world we live in. I thought I had seen enough evil in my days to simply make me numb. But unfortunately, I had not . 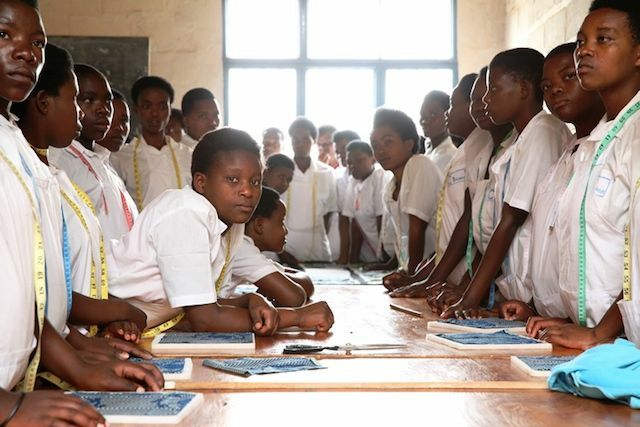 . .
World Help has been working in Rwanda for years—rebuilding lives, forging unity, and rekindling hope in a country wrecked by civil war and genocide. Visit worldhelp.net/Rwanda to learn more.